October 29, 2017 . Leave a comment. Carlos Condit is seeking a fight as soon as possible. It has been over a year since he stepped into the Octagon. The last time he stepped foot there, he submitted in the first round against Demian Maia on UFC Fox 21 August last year. Following the shock loss, he flirted with possible retirement but now he is speaking about a possible bout soonest. The former interim UFC welterweight champ wants to back in the UFC. He tweeted at the matchmaker Sean Shelby on Twitter asking for a possible fight in December or January. “Yo! @seasnshelby what’s up big guy…? I’m wanting to fight in December or January… what say you! ?” his tweet read. 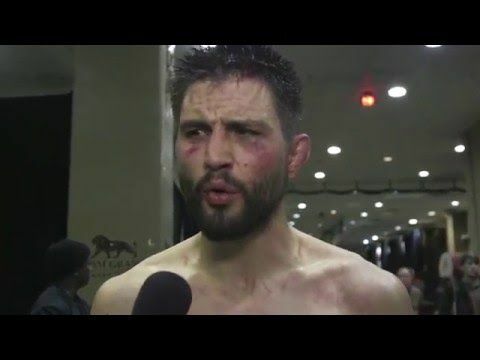 Despite his recent record, Condit remains an exciting fighter to watch. In the entire welterweight division, he remains a revered fighter. His record of 30-10 and reputation should earn him a fight even as the timing has to be worked on. The 33-year old New Mexico native lost his last two bouts and five of his last seven. This makes it difficult to get serious competition as many fell he has fallen from his exalted position. He has defeated Nick Diaz, Rory MacDonald and ThiagoAlves. He also beat Robbie Lawler at UFC 195 last year so credit to him. His poor run would make it difficult to secure a worthy opponent though. There are two UFC events slated for December 2 and December 30 in Las Vegas. There are also events planned for Winnipeg on December 16 and Fresno on December 9. There are no indications yet if Shelby would agree to fixing a fight ever more or less in December or January like Condit seeks. With time he should be able to convince UFC for a fight.